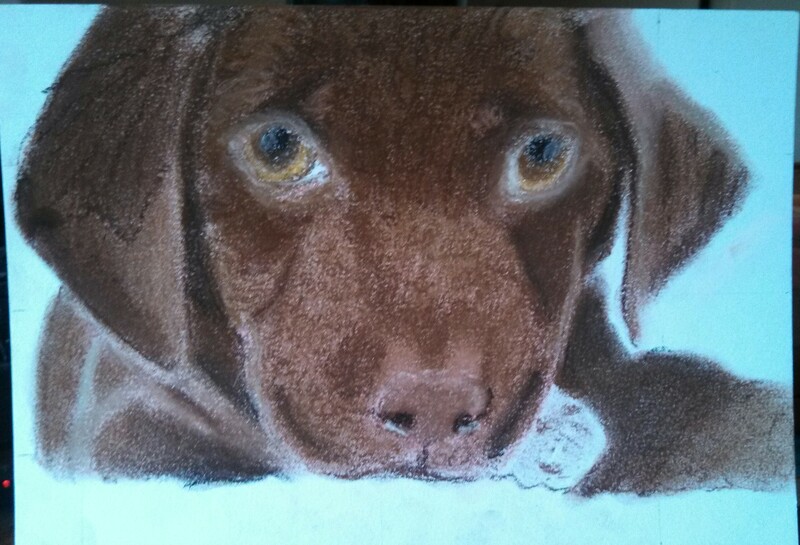 So, in the last few months, I have gotten in a lot of practice in the pastel art medium. Landscapes, pet portraits, and other various commissions. All of these things have been posted in my blog. After doing a lot of market research, I decided that I wanted to actually sell some of these custom commissions. The examples of my work, and price ranges are available in the Gallery on The Art page. I also launched an Etsy shop Dirtartful Studios, in which you can purchase custom dog portraits and portfolios, with cat and horse coming soon. We are also launching dog sports action pastel portraits in the near future starting with agility shots and herding trials. I will also be selling at agility trials that I will be going to. (And I accept all major credit cards). All portraits come unframed, and are shipped in a sandwich with tracing paper and poster-board protecting the sketch, and come satisfaction guaranteed.